The intent of 5S is to have only what you need available in the workplace, a designated place for everything, a standard way of doing things, and the discipline to maintain it. Created in Japan, the 5S’s are: sort, set-in-order , shine, standardize, and sustain (discipline). For the organization, this creates fewer defects, less waste, fewer delays, fewer injuries, and fewer breakdowns. These advantages translate to lower cost and higher quality. 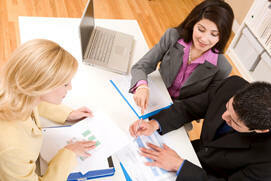 Our workshops range from 1/2 day classroom training programs to multi-day transformation events. We also offer online training and various off-site training workshops that include 5S. What Does a 5S Workshop Involve? Preparation including area and team selection and gathering background information. Training for the team in the elements of 5S including brainstorming activities. Going Through a Sort and Cleaning Activity Utilizing Red Tagging. Working in teams to brainstorm and set all needed items, equipment, etc. in order with visual control. To return to our Lean Services page, click here.